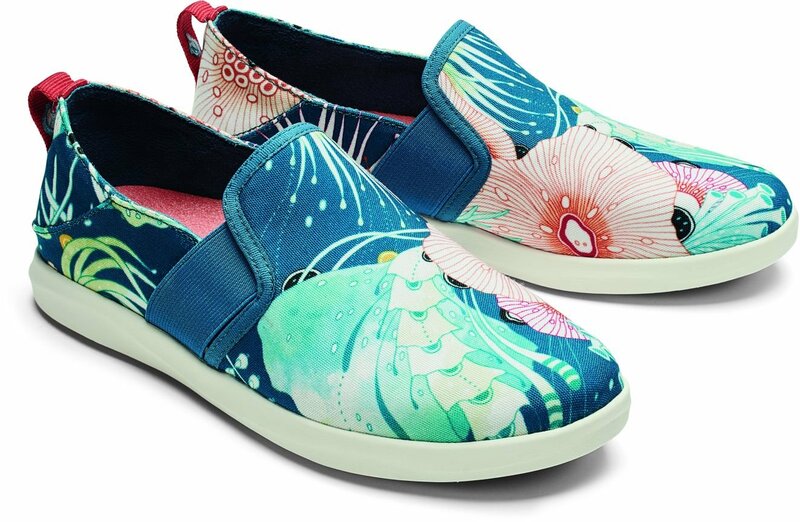 Upper: A lightweight canvas upper with custom digital print inspired by the coral reef, soft and breathable microfiber lining and elastic gore for a cutomized fit. Footbed: Dual-density anatomical PU footbed with a gel insert and a soft, microfiber footbed cover provides all day cushioning, support and comfort. Removable and washable. Outsole: Compression molded EVA and a 'Wet Grip Rubber' outsole with a pod design inspired by the coral reef and the ocean depths that surround it.